Adventures in Motoring: A Braiding we shall go! Now I don't have anything in particular against silicone hoses, in fact I think they are good alternative replacements to the existing hoses when needed. What I don't understand is their use as engine dress up items. It seems to me that no matter how tired, dirty, worn out looking peoples engine bays are, the first thing that most people want to do is fit a silicone breather pipe set to it, usually in some awful colour (it seems that the colour 'blue' is too common), like bright green, lurid purple or orange red! Of course it does not help that usually folks on a budget seem to get their pipes a few at a time, like buying a breather set and then the radiator set. This often leads to the 'almost but not quite' school of matching colours. As a further aside you seem to pay a premium for silicone pipes if they have the makers 'logo' inscribed in huge while letters, professing how sporty they are! Of course the real irony of the whole situation in designer pipework is that the most elusive of the colour spectrum appears to be good old honest plain 'black' pipes! (Not that black is a colour, depending on what arty types you know). My only problem with braided hoses is that I have never purchased any before. Where do you get them from and what size etc! It is then that it really becomes clear why people like silicone hoses! Having had a look around braided hose comes in various ways. 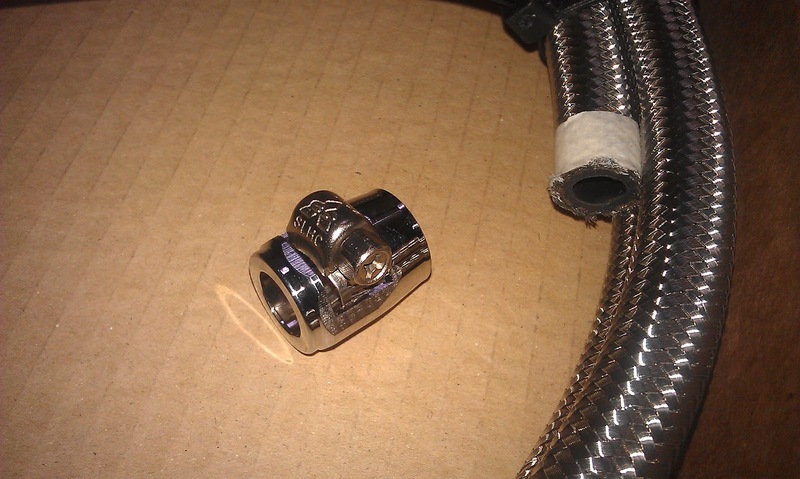 There is the straight forward inner diameter that you require hose, that is already braided. or there is over braid. Over braid is a bit like a sock that fits over your existing pipework, you can push it together to open it up and feed your rubber pipe through and then pull it tight over the pipe, the braid does all the work then. I usually use tin snips to then cut and trim the braid itself. The pre-braided pipework is somewhat easier and just needs to be cut to length. This can be done most effectively by wrapping electrical insulating tape around the braid and sawing it with a fine toothed hacksaw. Now the actual fitting of the finishers can be a pain, as they are push on but with a jubilee clip built in. This would be fine but they are somewhat a tight fitting push on and can catch the braiding pushing it back! I usually clean up the cut end with my trusty tin snips, wrap electrical tape tightly around the end and tease the finisher into place until I can give it a firm push! Naturally the wire of the over braid is annoyingly sharp and can fray like crazy, so it is good to make sure that it is tight over your pipe before mucking about with trying to push the end cap on! For the technically interested, hose and finishers are listed by their 'AN' numbers. For instance 16 mm ID hose and finishers would be AN12. Whereas fuel line is AN6.. Although to confuse things... AN6 seems to apply to 8 mm ID and 6 mm ID. So check what size hose you are getting! It is a bit of a pain to find one seller that does all the parts you would need for this. Although I have found this supplier Torques UK to be the best. Now as I have this rather wonderful turbo from HKS fitted to my runabout, my pipework is marginally different and the rocker cover top breather hose is somewhat rather longer than standard. Originally I was going to do away with the Nissan 'bent' pipe connected to another pipe for one great long pipe. This isn't really practical with over braiding though as the silicone flexy pipes that you can get are just too fat to braid properly. Therefore I decided 'what the hell' and am going to connect one braided pipe to another. As to how it looks on the car. Well it's looking promising... I don't have any photo's as yet (not finished) but will post 'this week' when I have done. 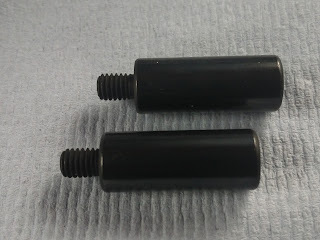 Okay to be honest I needed a couple more connectors (which are on order).